There is a trend in Hollywood to keep revisiting old wells. Instead of making sequels everything gets a reboot. Star Trek, Star Wars, Jurassic World, Evil Dead, Point Break, and the list goes on. In the trailers before my showing of Terminator: Genysis I saw a preview for Transporter: Refueled and Creed, which is spun off from Rocky. Obviously a lot of these films are making money and some are actually good, but sometimes the well is just dry. Such is the sad case with Terminator: Genisys. How many times can you tell the same story? 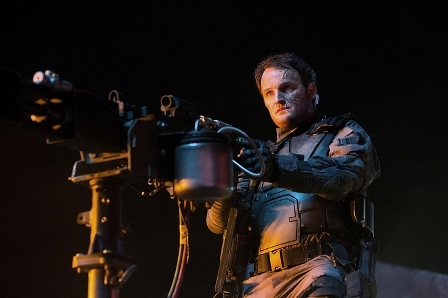 Kind of like the new Jurassic World, Genisys is kind of a sequel and kind of a reboot. It takes the story we are all familiar with from the first film and attempts to turn it upside down. It’s kind of a cool idea really, but it’s not nearly as clever as it wants to be. There’s plenty of references to the first two films that make the first half of Genisys pretty fun. But after a while I was left wondering where the real story was. The basic story is the same. Skynet takes over, Judgment Day happens, John Connor leads the future resistance, Terminators are sent back in time to kill him, and humans try to stop them. It was in the first three films and it’s here too. This time around something’s gone completely haywire in the timeline and 1984 Sarah Connor (Emilia Clarke) is not the naïve waitress she was in the first film. I liked the alternate reality aspect of the film, but I was disappointed they didn’t do more with it. The whole film felt kind of like a generic knockoff. The Terminator’s (Arnold Schwarzenegger) lines felt stale and Sarah Connor and Kyle Reese (Jai Courtney) lacked any distinctiveness. What’s missing from this film is real tension. I didn’t feel like the fate of humankind hung in the balance. And the heavy-handed message that we’re all too plugged in is already becoming a cliché – think Age of Ultron. 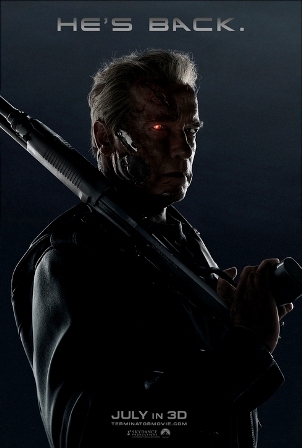 Terminator: Genisys is not horrible, but it is a disappointment. Overall, I’d say it’s just kind of dull.